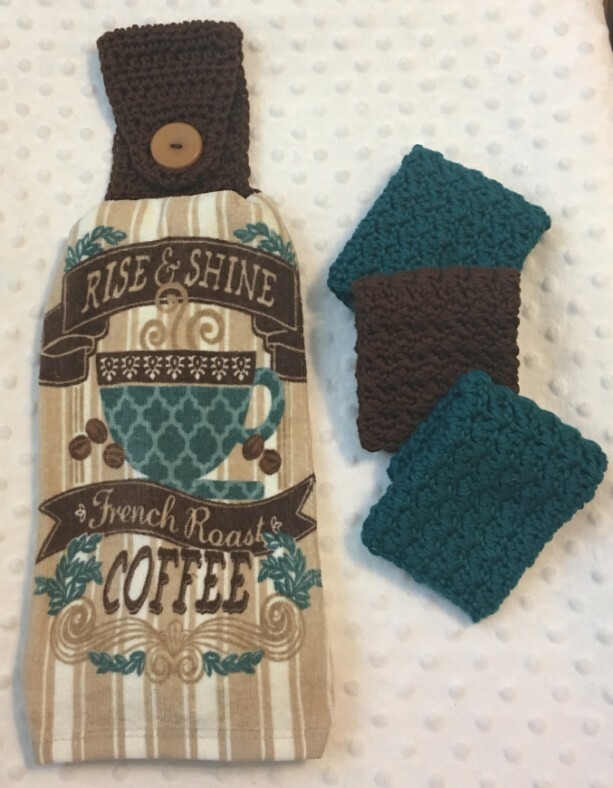 Rise and Shine Kitchen Set includes, 1 Kitchen towel, 1 crocheted crocheted hanging towel holder and 3 coordinating dish cloths. Crocheted with 100% cotton. Machine wash and dry.